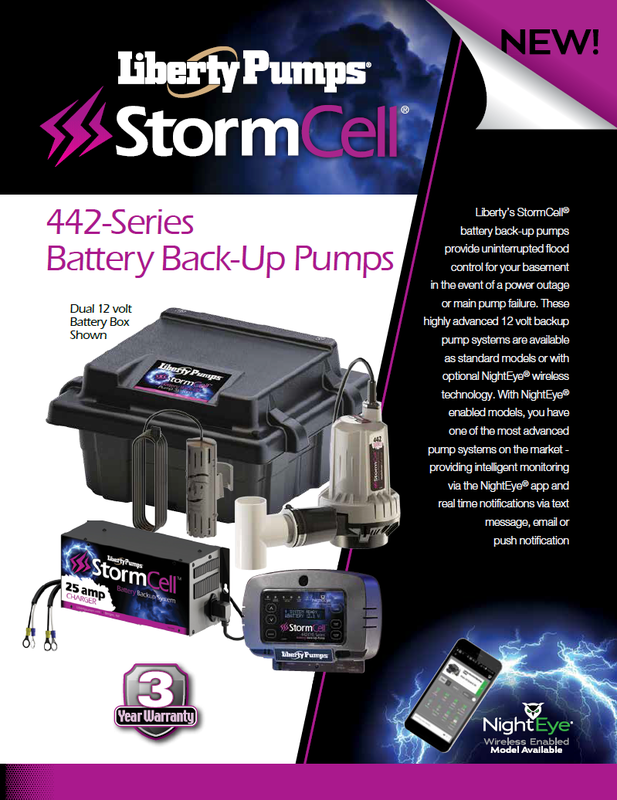 Liberty's StormCell® battery back-up pumps provide uninterrupted flood control for your basement in the event of a power outage or main pump failure. 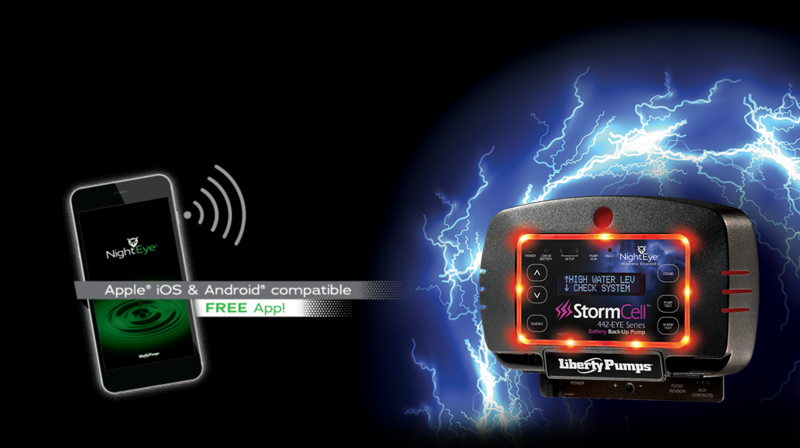 Available with NightEye® wireless technology. 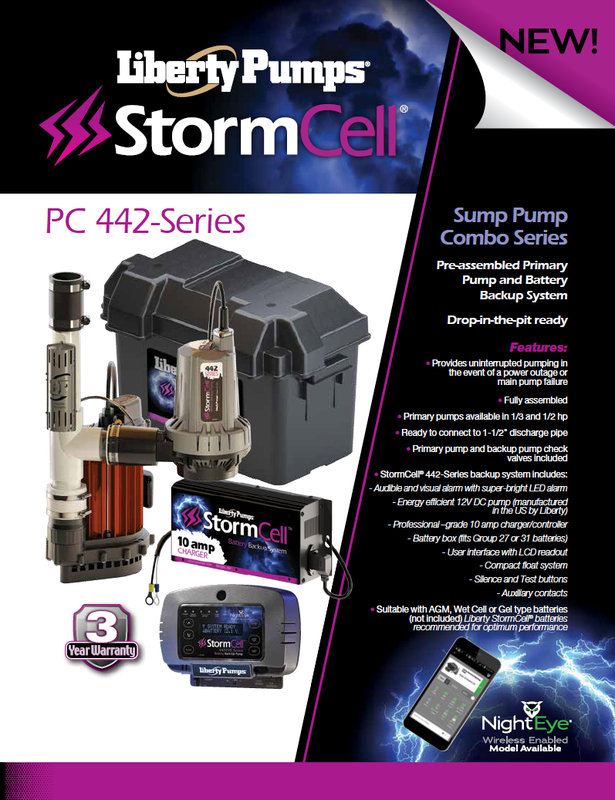 Highly advanced 12 volt backup pump systems. 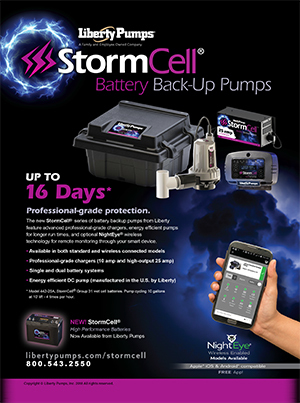 Available as standard model or with NightEye® enabled models. 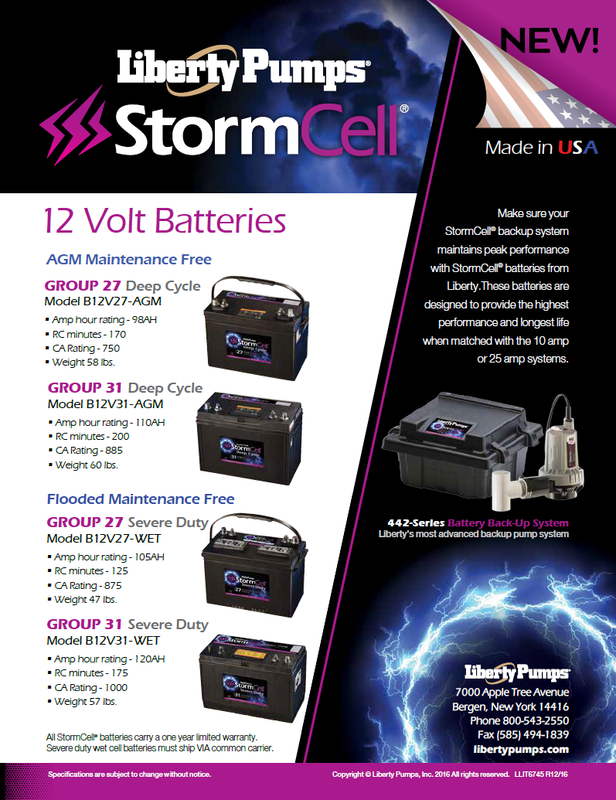 Pre-assembled Primary Pump and Battery Backup System. Drop-in-the-pit ready!